Heart attack and stroke are two serious conditions that may result from a workplace accident in Georgia, traditionally leading to symptoms like dizziness, headaches, weakness in an arm or leg, shortness of breath, slurred speech, and chest discomfort. Life-threatening conditions like heart attack and stroke can lead to devastating complications like brain damage and death among workers, and can also result in tens of thousands of dollars in medical bills and significant time away from work. Unfortunately, many insurance companies will try to avoid paying benefits for heart attacks and strokes at work, knowing these cases are hard for workers to prove. If you or a loved one has suffered from a stroke or heart attack at work, contact our workers’ compensation attorneys at Rechtman & Spevak today. Our law firm is located in Atlanta, and our lawyers have years of experience helping victims of workplace injuries pursue the compensation they deserve. Heart Attack and Stroke in Georgia and the U.S. While most people think of sudden injuries like broken bones and amputations when referring to workplace injuries, many injuries sustained at work are the result of repetitive use or certain workplace conditions which are present over a long period of time. In many cases, heart attacks and strokes at work are caused by physical exertion, heat or workplace stress, factors which can affect the health of a worker over the course of time. Unfortunately, workers’ compensation cases involving heart attacks and strokes are often complicated because there needs to be proof that the conditions are work-related and not the result of pre-existing illnesses. Heart attacks and strokes are medical emergencies that typically require immediate treatment and can have long-term consequences for the affected individual. Victims of heart attacks may require a procedure like an angioplasty in order to open narrowed or blocked blood vessels that supply blood to the heart. The goal of stroke treatment is to help the patient recover as much function as possible and prevent future strokes. Unfortunately, victims of heart attacks and strokes may suffer from serious complications like heart failure and potentially fatal abnormal heart rhythms, or dementia, problems speaking and understanding, and loss of movement or mobility. Workers’ compensation laws in Georgia and across the U.S. were established as a means of protecting the rights of workers injured in on-the-job accidents, and offering them critical compensation for medical bills and lost wages due to missed time at work. Unfortunately, the only way that injured workers can receive benefits under workers’ compensation is if their injury or illness was directly caused by an accident or conditions at work. In other words, if the employer’s insurance company can prove that a worker’s injury or illness, such as a heart attack or stroke, existed prior to the workplace accident, the company can deny the workers’ compensation claim. For example, if the insurance company combs through your medical history and finds evidence of high blood pressure or high cholesterol, it may find reason to deny your workers’ compensation claim. Heart attacks and strokes are serious conditions that can lead to death for affected individuals. Unfortunately, demands at work for more production, tight deadlines, and stressful workplace environments can cause workers to suffer from major events like heart attacks and strokes. In fact, studies show that workers who are on tight deadlines, which results in short periods of very high stress, are six times more likely to suffer from a heart attack than other workers. 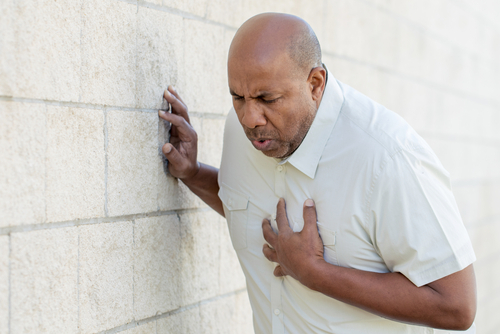 Because employers and their workers’ compensation carriers know that proving a heart attack or stroke was work-related is difficult, they won’t hesitate to try and avoid paying benefits in these cases. If you have suffered from a heart attack or stroke that was caused by conditions at work, contact our workers’ compensation lawyers at Rechtman & Spevak immediately. Our workers’ compensation attorneys are familiar with workers’ compensation laws in Georgia and can help victims of heart attacks and strokes at work pursue fair and timely reimbursement for their injuries.